Prevent problems and save money! Digi-Sense's Infrared Thermometers easily and safely locate hot and cold spots. They are your solution to fast, easy temperature measurements. The ergonomically-designed pistol-grip IR thermometers eliminate any need to physically contact the object. It's easy! Aim, pull the trigger, and read the display. Meters safely measure an object's surface temperature and provide reliable measurements. accommodate a wide range of applications. Precalibrated and ready to use! 6" x 2.25" x 7.5"
WD-20250-04 Digi-Sense Infrared Thermometer, WD-20250-04, User Manual. WD-20250-05 Digi-Sense InfraredThermometer, WD-20250-05, User Manual. WD-20250-06 Digi-Sense Infrared Thermometer, WD-20250-06, User Manual. WD-20250-06 Digi-Sense Infrared Thermometer, WD-20250-06 Data Sheet. WD-20250-07 Digi-Sense Professional Dual-Laser Infrared Thermometer, WD-20250-07, User Manual. 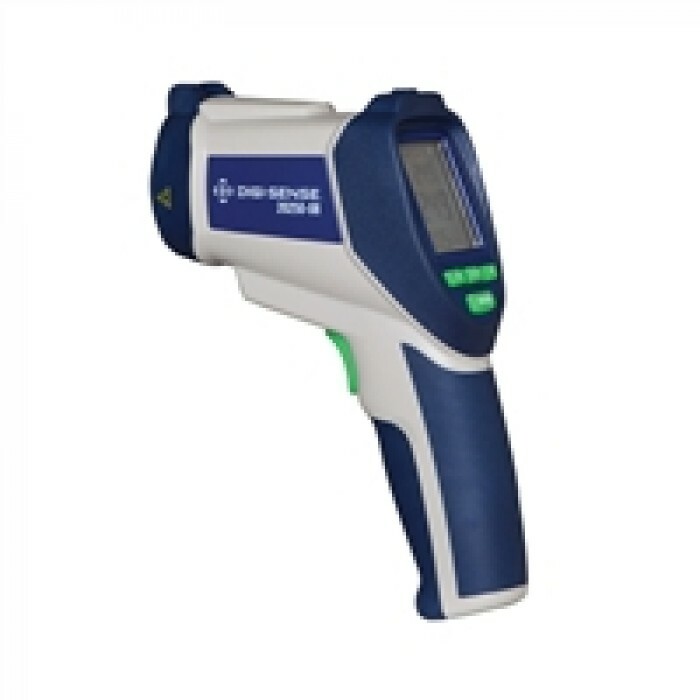 WD-20250-07 Digi-Sense Professional Dual-Laser Infrared Thermometer, WD-20250-07 Data Sheet. WD-20250-08 Digi-Sense Professional Dual Laser Data Logging Thermometer, WD-20250-08, User Manual. WD-20250-08 Digi-Sense Professional Thermocouple Thermometer, Professional Dual-Laser Infrared Thermometer Data Sheet.